Whenever I pick up an iPad encased in the SurfacePad, my inner Ricardo Montalbán starts whispering Rich Corinthian Leather in my ear. The materials and workmanship are of the highest quality, which is a trademark for all Twelve South products. 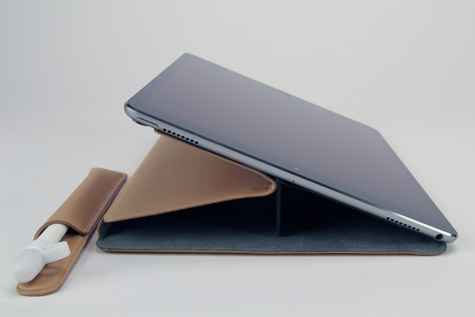 This is the refined, adult protection system for your iPad Pro and Apple Pencil. 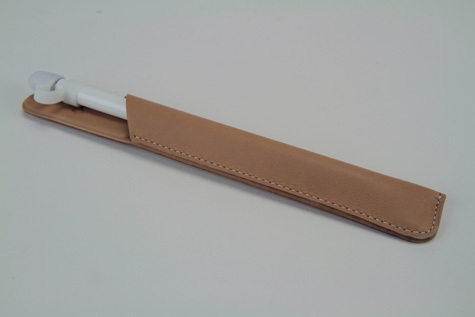 The PencilSnap is a sleeve that holds the Apple Pencil very securely. 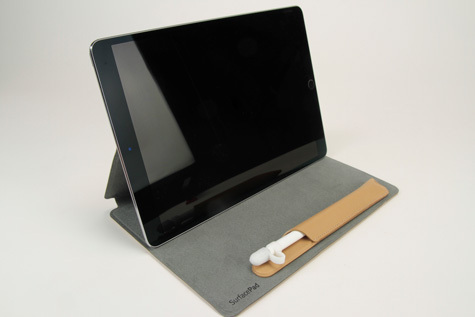 The flat side has a magnet built in to hold it to the SurfacePad by Twelve South or Apple Smart Cover or any iPad case with a magnetic closure. It holds firmly but could still be brushed off the case when placing it in your messenger bag or briefcase. The SurfacePad is a pleasure to use. 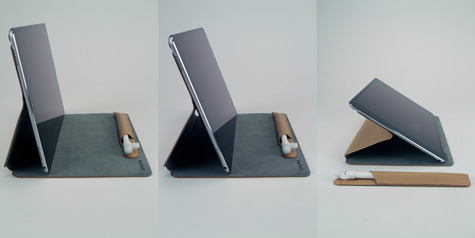 This cover attaches to the iPad with a peel and stick adhesive surface. The instructions advise that the plastic sheet covering the adhesive be retained for use when the iPad is removed from the cover. The number of times the SurfacePad can be reapplied to the iPad is not stated. That is likely to depend upon time in use and cleanliness. The cover has three different magnetic embedded strips allowing choice of elevation positions. It can also be used flat on the table or in an extra low angle setting with the built-in foot for this under the radar orientation. It is important to note that this cover does not provide protection for three of the four edges of the iPad. This could be a concern when used in rougher environments. 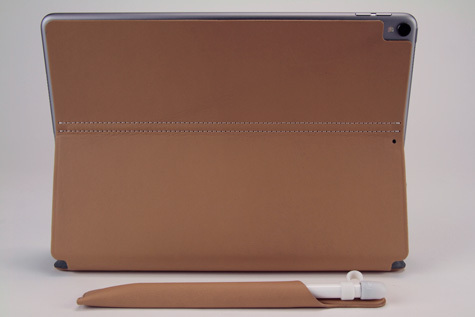 The PencilSnap and SurfacePad for iPad Pro are available in black or camel. 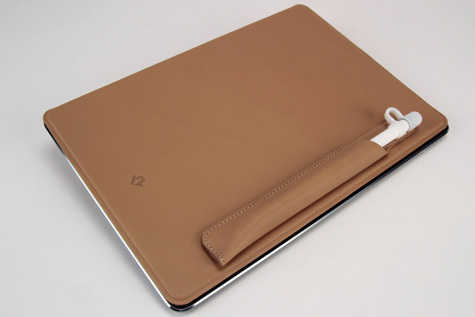 The SurfacePad is available in other color choices for non-pro iPads all the way back to the iPad Air. The target demographic for this product is the person who appreciates the quality, craftsmanship and materials that make up the SurfacePad. This is not the cover for a dirty and hazardous environment. iPads used in warehouses, construction sites, restaurants and the like should seek protection elsewhere.